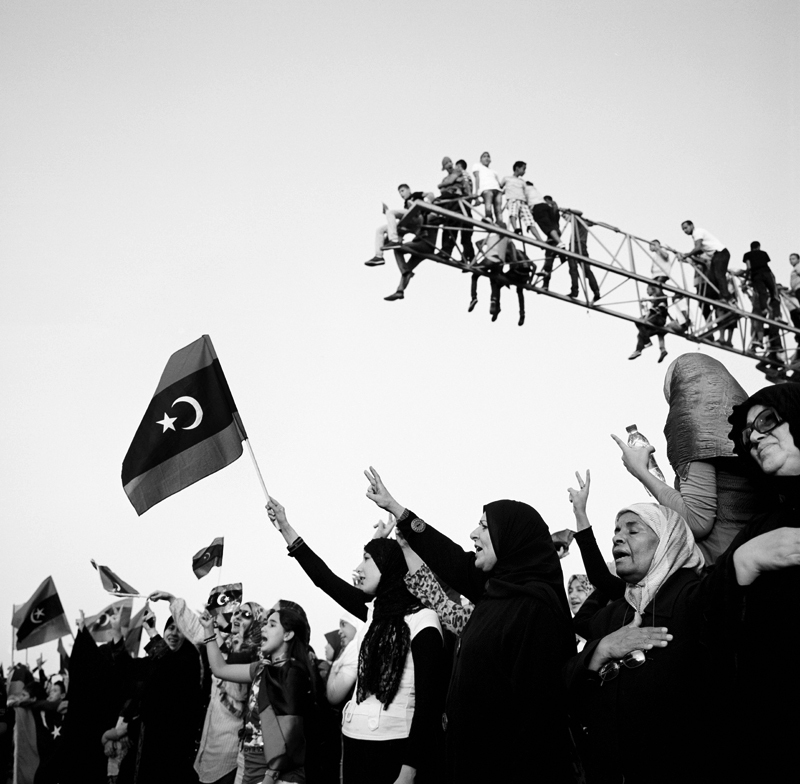 Women gathered by the thousands in Tripoli's Martyrs' Square (formerly known as Green Square) to celebrate the ousting of Muammar Gaddafi. A sea of headscarves, national flags and victory signs filled the square where women sang songs and chanted in celebration. Women for the most part have been out of the public eye during the revolution, but many have been working behind the scenes to liberate the country from the 42-year oppressive regime.